Please help us carry out a turtle survey. Aim: Get a snapshot of whether there is an increase in the killing of leatherback turtles in order to assess their conditions and take appropriate steps to address them. 3. Document other species that are being sold commercially rather then taken for subsistence purposes. 4. What type of enforcement activity is occurring? 1. Where is the turtle being sold? 2. How much is for subsistence versus commercial consumption? 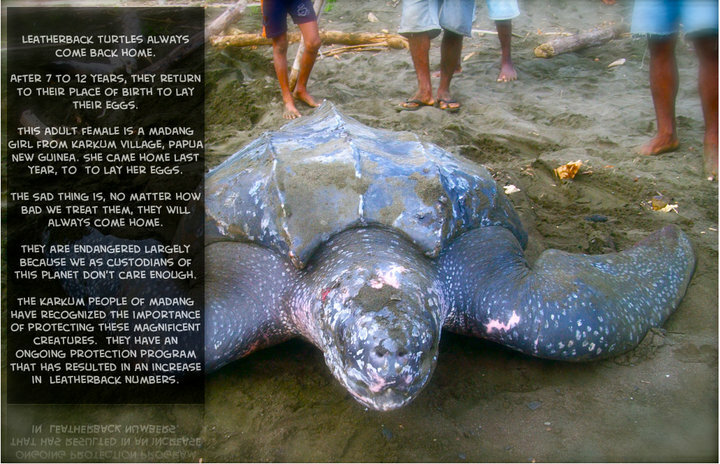 4. Who is catching the sea turtles and where? 5. 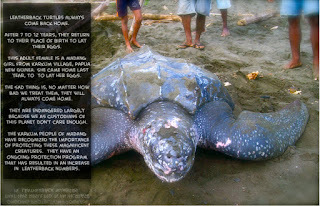 How important is sea turtles as part of subsistence diet?